Container-based transportation is one of the more challenging areas for warehouses, logistics companies and manufacturers/processors, predominantly because the enclosed shape of shipping containers challenges loading and unloading efficiencies. Containers test the capabilities of a company’s dock in terms or turnaround and timetable management, as containers have truck schedules and ship schedules to meet. Any delays in dock processes may cause containers to ‘miss the boat’ and add ingoing/outgoing costs to an operation. 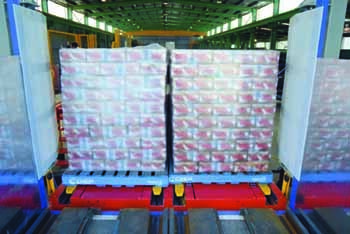 In the drive to optimise docks to maximise output from all loading and unloading activities, many companies are analysing their existing setup and revealing that more streamlining is often required. Transkate can be implemented to more comprehensively utilise trucks at the delivery points. Available from Australian materials handling and logistics specialist Industrial Conveying (Aust) Pty Ltd, these technologies can be custom designed and manufactured for each user. Installing one or a combination of these solutions allows fast handling of bulk, palletised goods in and out of shipping containers. eliminate bottlenecks, double handling, dormant freight and delivery delays. vertically to a correct height for one shot loading of the complete load. Timeframes for handling have been reduced drastically, effectively handing the user a competitive advantage in its own industry sector. 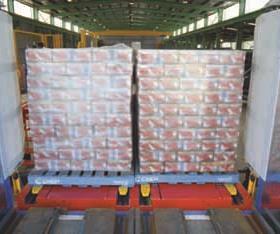 Industrial Conveying has been calling for better recognition that transport vehicles themselves are largely overlooked as a unit of overall supply chain management that can be configured to suit the purpose. This new bulk loading system is designed to cater for 20ft and 40ft containers. During the handling process, vehicle/container docking alignment is controlled and verified electronically. Equipment controls are easy to use and minimal training is required. The docks themselves are designed to both load and unload the containers. Being robust in design and construction, the technology easily copes with the demands of a 24/7 operation. Applications range across all industry sectors. Loads are prepared on the loading dock whilst trucks are in transit. Once the truck arrives, the vehicle/container loading time is normally less than 5 minutes. Managing Director of Industrial Conveying, Mr Don Erskine, says the new system increases the ‘smart’ utilisation of truck fleets during the loading and unloading process. "It takes into account how all these aspects combine to make a complete handling spectrum because materials handling and supply chain management is much more than just warehouses, trucks and transport," said Mr Erskine. "Increased profit margins become the end result by lessening the steps in product handling and the turnaround time of the vehicle.